Much of the furniture and objects in the Royal Pavilion, Brighton were imported directly from China. 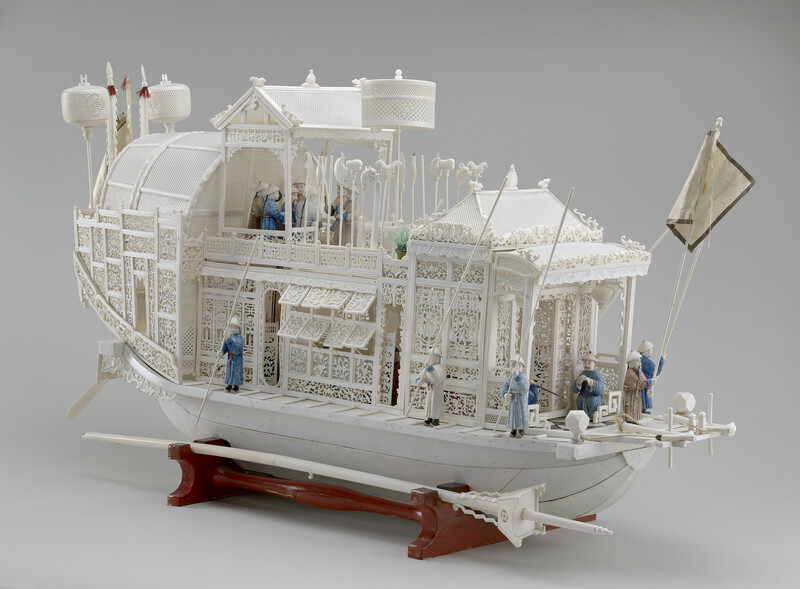 This ivory boat model and its pair were first submitted by Dr J. Garrett and John Crace to Carlton House for inspection following the former’s trip to China to acquire a variety of representative items. They are later depicted in Nash’s 1826 watercolour of The North and South Galleries at the Royal Pavilion. The use of such representative material was gradually phased out as the schemes for the Pavilion became richer and more sophisticated but some elements, like these ivory ships, remained. In 1848 they were sent to Buckingham Palace.